A professional modelling tool from Kryolan, with a bent nib for precise modelling work. 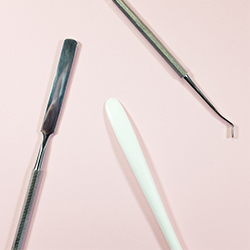 ..
Made from stainless steel, this single-sided Kryolan Spatula is ideal for mixing and combining produ.. 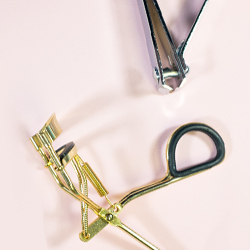 These Cuticle Scissors from Rubis are made from high quality, rust-resistant Martensitic Steel, and .. 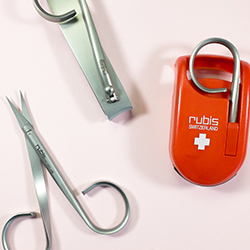 These super strong Nail Clippers from Rubis are made from stainless steel-- with the right care, the..
Made from the highest grade stainless steel, Rubis' Needlenose Tweezers are perfect for the delicate.. 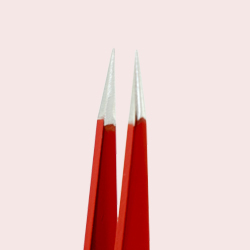 This Rubis Pointed Tweezer is made from the highest quality stainless steel, with a steel pointed ti..
Coming in a variety of colours, the Rubis Pointed Tweezers have a steel pointed tip for precise work.. 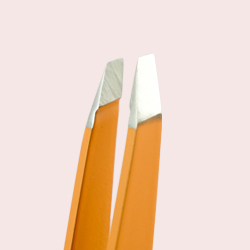 These Pointed Tweezers from Rubis have a magnifier attached to them for super close-up close. Coming.. The Kryolan Lance-Curve Tool 1066 is a stainless steel double-ended spatula which can be used for cr..